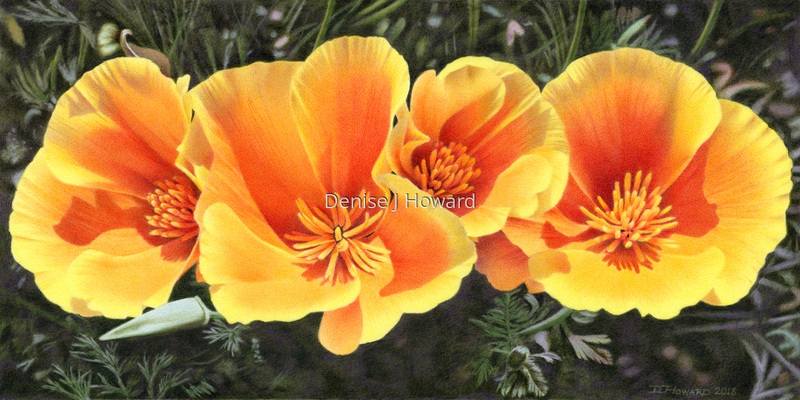 It's impossible to be unhappy while beholding the exuberance of California poppies. I found this joyful group singing a song of color in my front yard. Colored pencil on Stonehenge paper. 7.5" x 15"8" x 16"11" x 22"